Adrianna’s Mystic Connections. Gifted angel reader, Adrianna invites you to call in for guidance and counsel from the angels. Call 646-378-0378 for a free reading. Please join Adrianna on June 14th at 10 am EST. 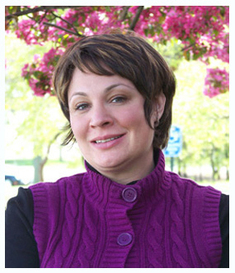 Adrianna and Guest David Zimmerman will be discussing The Great Lakes Retreat, (GLR) Mt Olivet MI. Adrianna and David are both Presenters (for several years) and will be describing their experiences and their workshops for July 20-25, 2014. Adrianna will be taking callers during the second half of the show for mini-readings. We hope that you can join us! Gifted angel reader, Adrianna invites you to call in for guidance and counsel from the angels. Call 646-378-0378 for a free reading. Adrianna’s Mystic Connections. Gifted angel reader, Adrianna invites you to call in for guidance and counsel from the angels.Topic: Responding to life with Gratitude: We will talk about being gratefule when it’s hard to be, tips for gettings into gratitude, being grateful for the difficult people and situations in our life and why it’s important to be in the flow of gratitude during the hardest times in our lives. Call 646-378-0378 for a free reading. ADRIANNA’S MYSTIC CONNECTIONS! Gifted angel reader, Adrianna takes calls for guidance and counsel from the angels. QUESTION FOR THIS EPISODE: How have you responded to life with Gratitude? MORE: Kristen Ann: Kristen was born in the Midwest in the mid-1950s. Her life was an unusual one from the start. She always had a sense of deeper levels to life and began researching spirituality and metaphysics starting back in the early 1960s before it became popular. Perhaps it was this interest that brought unusual experiences and constant “coincidences” or synchronicities into her life. These events are too numerous to go into here but the many experiences along with the key informed people that were brought into Kristen’s life are detailed in her book because of the information they disclose. She had a near-death experience as a child and began a little private “library” of spiritual and metaphysical books not long after that in the mid-1960s. In 1970 she learned Transcendental Meditation which opened a strong intuitive ability. Then in the mid ’70s she studied the profound clairvoyant Rudolf Steiner. Her two-year formal studies of Steiner and Anthroposophy were greatly enhanced by having Werner Glas as a professor. Werner also had a profound level of clairvoyance and his classes were fascinating and gave an in-depth understanding of all aspects of life from deeper spiritual perspectives. These also included the Akasha. Breathing the Fresh Air into your day!! Adrianna’s Mystic Connections is LIVE the 2 Saturday each and every month 9am Central, 8am Mountain, 7am Pacific & 15 GMT and you are encouraged to join us for thoughtful conversation, genuine insights and the lessons Spirit has to share channeled through Adrianna and her special guests. 646-378-0378 gets you in the queue or you can simply enjoy the time we spend with Adrianna today! Open your mind and heart to learning, caring, sharing and getting in touch with the love from the other side of the veil with Adrianna who lives to give you the messages spirit wants you to have. Breathing the Fresh Air into your day!! Adrianna’s Mystic Connections is LIVE the 2nd Saturday each and every month 9am Central, 8am Mountain, 7am Pacific & 15 GMT and you are encouraged to join us for thoughtful conversation, genuine insights and the lessons Spirit has to share channeled through Adrianna and her special guests. 646-378-0378 gets you in the queue or you can simply enjoy the time we spend with Adrianna today! Open your mind and heart to learning, caring, sharing and getting in touch with the love from the other side of the veil with Adrianna who lives to give you the messages spirit wants you to have. Adrianna’s Mystic Connections is LIVE the 2nd Saturday each and every month and you are encouraged to join us for thoughtful conversation, genuine insights and the lessons Spirit has to share channeled through Adrianna and her special guests. 646-378-0378 gets you in the queue or you can simply enjoy the time we spend with Adrianna today! Open your mind and heart to learning, caring, sharing and getting in touch with the love from the other side of the veil with Adrianna who lives to give you the messages spirit wants you to have. QUESTION FOR THIS EPISODE: What have you released with Gratitude? ADRIANNA’S SPECIAL GUEST: Bethany Faith Henry! MORE ABOUT BETHANY: I have been clairvoyant since I was a little girl. I have had a couple awakening experiences since then to support my spiritual journey. To name one incident, in September 2003 I had a tragic near death experience due to a horrible Jet Ski accident I met my Angels and had a revealing and enlightening change in my life. This happening, made me closer to the spiritual world and want to know more about the heavenly realms and celestial beings that existed. I’ve been a active reader of tarot cards and aura readings since my teenage years .I also discovered my fantastic gift of talking to the other side, talking to people/animals who passed on to the spirit world. I’ve been a nurturing healer and lover of people and further more enjoy being a messenger to those who are in need of important and vital information to those in need. I receive these messages from angels, spirit guides, dearly departed. In this event I hope to support my clients with all the love and healing they can get to move on to the next phase of their lives. Breathing the Fresh Air into your day!! Adrianna’s Mystic Connections is LIVE the 2nd Saturday each and every month 10am EST and you are encouraged to tune in for thoughtful conversation, genuine insights and the lessons Spirit has to share channeled through Adrianna (who was recently featured in The Detroit Free Press and USA Today) . 646-378-0378 gets you in the queue or you can simply enjoy the time we spend with Adrianna today! Open your mind and heart to learning, caring, sharing and getting in touch with the love from the other side of the veil with Adrianna who lives to give you the messages spirit wants you to have. Breathing the Fresh Air into your day!! Adrianna’s Mystic Connections is LIVE the 2nd Saturday each and every month 10am EST and you are encouraged to tune in for thoughtful conversation, genuine insights and the lessons Spirit has to share channeled through Adrianna (who was recently featured in The Detroit Free Press and USA Today) and her special guest Tami Urbanek medium/clairvoyant! 646-378-0378 gets you in the queue or you can simply enjoy the time we spend with Adrianna today! Open your mind and heart to learning, caring, sharing and getting in touch with the love from the other side of the veil with Adrianna who lives to give you the messages spirit wants you to have. Adrianna is offering GIFT CERTIFICATES for her 1-hour PHONE READINGS for a special PRICE in Dec. of 2013. Originally $80, you can NOW get them for $60. All GIFT CERTIFICATE requests MUST GO THROUGH her email which is mysticconnect@aol.com These GIFT CERTIFICATES are good for up to ONE YEAR from DATE OF PURCHASE, so take care of that HOLIDAY GIFT GIVING today! We are ALL seeking answers, truth and gentle guidance in our lives at one time or another and you are invited to TUNE IN to this program the 2nd Saturday of each month to receive just that! Adrianna Lesniak is here for YOU with her Angels, Guides and geniune abilities to connect with your loved ones on the other side of the veil. 646-378-0378 brings YOU into the queue so she can read for YOU during the show and fo rthis program, Adrianna welcomes Laura Berlin as her special guest. Laura has over 20 years experience providing guidance and direction and you can contact HER directly at www.asklaura.org So, when you would like Adrianna to read for you privately, then please contact her via email @ mysticconnect@aol.com and this is also where you can ORDER your GIFT CERTIFICATES which are at a SPECIAL HOLIDAY RATE of $60 for her 1 hour phone readings! This price is GOOD until December 31, 2013 and the GIFT CERTIFICATES are VALID for ONE YEAR from DATE of PURCHASE! Gifted angel reader, Adrianna invites you to call in for guidance and counsel from the angels. She will teach and touch your heart! Call 646-378-0378 for a free reading.